Choosing to spend time in the Great Outdoors should be a natural, eco-friendly experience. Unfortunately to bare the unpredictable weather, camping gear is often made with unnatural materials. Many leaders in the industry are working to push towards an eco-friendly camping experience by promoting organic, vegan and other green efforts. Here we’ve put together a list of the essentials that are recyclable, eco-friendly or vegan so that you can stay as green as nature intended. There are many tents that are made with recycled materials or natural cottons. To stay completely chemical-free with a tent may be difficult. But the Imogene Ultralight 2 Person Tent is a terrific option. It uses DAC Green Anodizing in order to reduce the use of chemicals, dyes and water in the production of the tent poles. Otherwise there are many companies who offer bamboo tent pole options. If you want to go green, the most important aspect is finding a vegan sleeping bag. 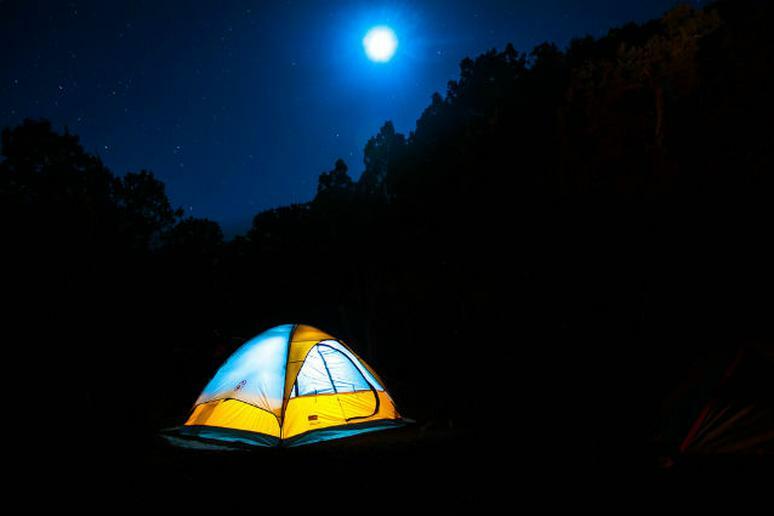 Cruelty-free camping is eco-friendly and attainable. The MEC Equatorial Sleeping Bag features specific design innovations that reduce our ecological footprint and make it more sustainable. It is insulated with Hyperloft Eco with 50% recycled content and a polyester, cotton blend. It offers terrific insulation and contains bluesign-approved materials which work to reduce water and energy consumption. If you are heading out backpacking, you’ll need a good pack to hold all of your essentials. The Mountainsmith Maverick is eco-conscious mad from a combination of recycled PET fabric and 50 recycled plastic bottles. It has everything you look for in a backpacking pack including a hydration system, internal frame, trekking pole mounts and collar storm shield, but in an eco-friendly build. Patagonia prides itself on their organic movements and other green efforts. They have many different clothing options that are made from recycled polyester. These options are built for the trail and the outdoors and will keep you green and cozy on your next camping trip. While leather is durable and helpful out on the trail, keeping to a vegan boot is the best way to stay green. Hi Tec’s V-Lite Altitude Max is made from a waterproof microfiber called Enduro. This strong, man-made material is waterproof, durable and breathable.